Just watched May 26th show….excellent testimony to all who might have been watching! Thanks, it was more bold than I have heard over our LDS leadership pulpits in quite awhile…refreshing, inviting, and well said! Yeah I feel these foundational principals have been lost from the discussion, all discussions, and the biggest threat to our religion, our freedom and our country is apathy. So bold……I guess it’s bold in todays day. The truth is only bold if we’ve strayed from it. Thanks for the comment and support. I tried to send an email to ryan@nephiteexplorer.com. It was returned. 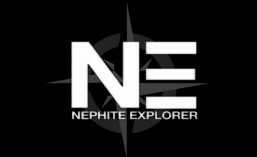 I purchased season one of Nephite Explorer. The disk “Search for the Promiseland” only has the opening credits on it. Please replace it.